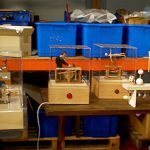 An exhibition of antique and contemporary automata has been extended by popular demand. 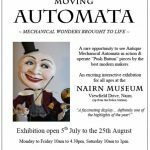 Presented by The House of Automata at the Nairn Museum the exhibition will run until the 31st October. 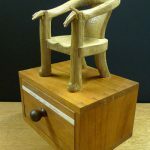 It features a number of modern pieces made by Paul Spooner as well as a range of antique automata. 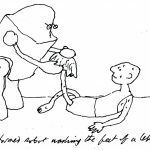 Reformed robot washing the feet of a leper. Click image to enlarge. 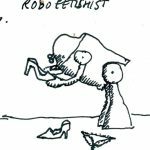 Robo-Fetishist. Click image to enlarge.